Combine your choice of frozen yogurt and toppings for dessert or add a waffle or crepe and make it a meal. 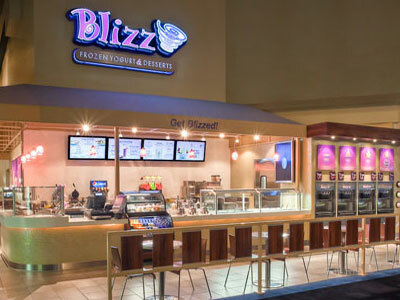 Blizz also gives you the option to turn your yogurt into smoothies or shakes, or indulge in cakes or pies. The yogurt is fat-free and there are also several no-sugar-added options.